Big or small, good or bad, make no mistake about it. This is a huge and awesome collection. We all know how these retro game compilations usually go. Take a handful of games that only really have nostalgic value, throw a basic menu together, package it up and sell it for $60. These sorts of compilations usually only have a small number of really remarkable games, and if you get any decent extra content, then you’re lucky. Rare Replay is not that kind of compilation. 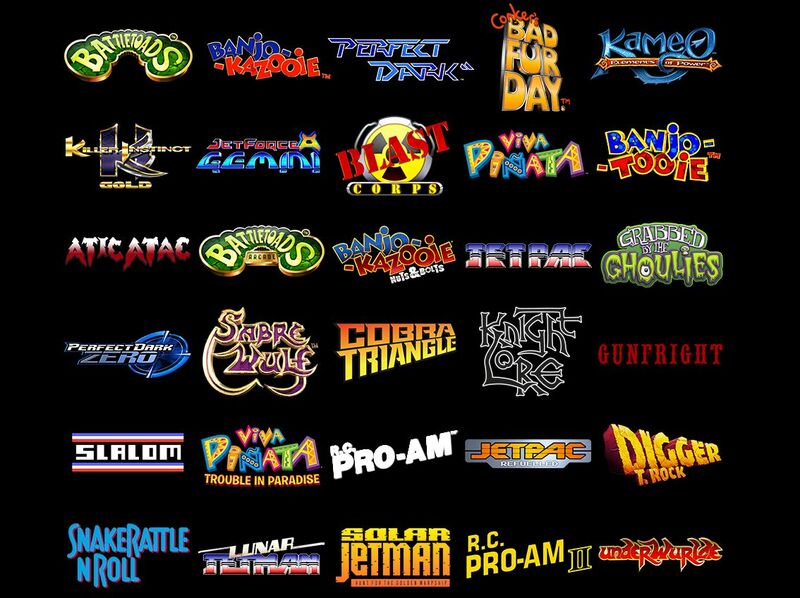 Rare Replay is the sort of compilation you can only get from a company that has had a long and memorable history in the video game industry. I say long and memorable, not long and successful. There are 30 games in this collection, ranging from old 8-bit computer titles of the early eighties all the way to a handful of titles from the mid aughts. You get these 30 games, wrapped up in a fun-loving presentation that dares you to not enjoy yourself from the moment you turn it on. I am pretty sure the game’s opening musical number will be stuck in your head for days. Yes, a retro compilation with an opening musical number. What’s even better is that you get all of this for the $30. A dollar per game. That’s a stupid price given that many of these games sell for that or more on their own. 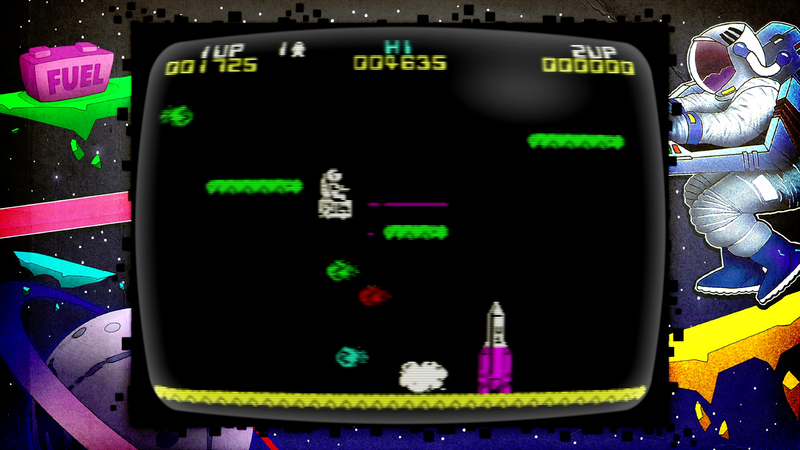 Jetpac with the CRT Filter. 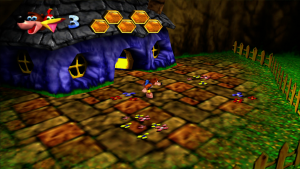 Rare Replay stands as a great example of how to do a collection well. The front end is set in a theater and features fun little transitions between menus. As you play through the games, you’ll earn stamps on your ticket. When you fill up a ticket you’ll unlock a new featurette or documentary or bit of artwork in the gallery section. These aren’t low-fi interviews that look like they were recorded with someone’s webcam and are impossible to understand what’s being spoken. These are well produced, lovingly crafted pieces that highlight what Rare is about. There are also some unseen game concepts making their public debut on this compilation. It’s a glimpse of what games Rare may have ended up making, had circumstances been different at the time. To keep you playing and earning those stamps, the game has an extensive roster of challenges and Achievements. The game boasts 10,000 gamerscore is up for grabs, and they’re not lying. What you should know is that those 10,000 points are spread across several titles. 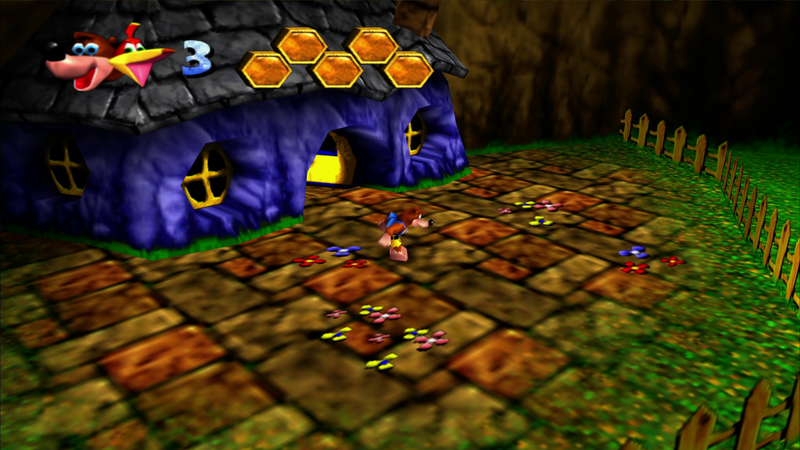 Rare Replay itself has 4,000 points up for grabs. These range from simply starting up a game for the first time to completing a game. There is also a special snapshot mode which acts as the game’s challenge area. Here you’ll be given a specific task to complete. Do so and you’ll earn another stamp. The other 6,000 points from achievements are spread out across the various Xbox 360 titles. When you earn an achievement in any of these games they will show up in your profile under that game, not under Rare Replay. This is completely understandable from a technical perspective, since each of the Xbox 360 titles exit the main front-end and boot into the Xbox 360 emulator. If you’re not in the Xbox Preview program, this is a sneak peak at how backwards compatibility will work. On a technical level, Rare Replay is remarkable. 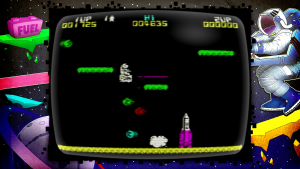 There are six different platforms being emulated here: the ZX Spectrum, the Nintendo Entertainment System, Nintendo 64, Xbox, Xbox 360, and a custom Arcade board. For the most part, the emulation is handled very well, though there are a few instances where some games, particularly the newer Xbox 360 titles exhibit a bit of slowdown. There is also a very annoying audio bug in the Battletoads Arcade game where the audio is pitched far higher than it should be. While these issues are somewhat annoying, they are by no means game breaking. One detail of the collection I greatly appreciate is the inclusion of an extensive Help section. This includes an overview of the collection itself, the sticker system, how to load and save and exit games, etc, but also a section for game manuals for every game in the collection. Some of the earlier titles aren’t entirely obvious what you need to do, so it’s nice to have the manual text to refer to. It’s just another detail that shows this is not a shovelware collection. Rare Replay revels in its own fun-loving nature but doesn’t shy away from the company’s missteps. It’s nice to see that they didn’t omit including games that were not so well-received. Grabbed By The Ghoulies and Perfect Dark Zero were not exactly critical or consumer successes, but they are significant in a historical context. They are part of what makes Rare what they are. By including some very divisive games on this collection, it really encourages you to try them out and decide for yourself whether they were really that bad. What I’ve found is that by and large, they weren’t. I’m not going to go through and rate every single game on this collection, but I will say that every one of the titles deserves its spot in the lineup. With that said, there are a handful of notable absences that really do need to be mentioned. 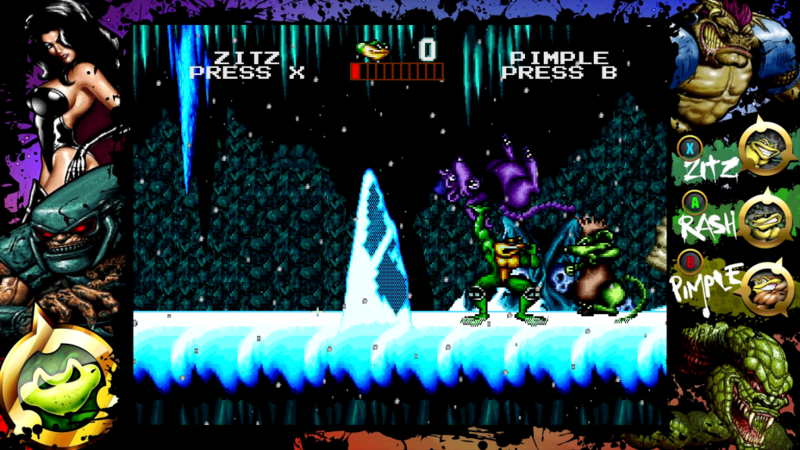 While Battletoads for NES and the Arcade version are great to have, there was also a Game Boy and a SNES version that are notable. The lack of any Rare SNES games is notable in itself. Was this a technical limitation? It shouldn’t be. Not when it’s handling Nintendo 64 and Xbox 360 nearly flawlessly. It would have also been very nice to have had Conker: Live & Reloaded in this collection to be able to see what changes were made. These games could have made it into the collection. Sometimes cuts have to be made, but it is a little puzzling that an entire console generation was completely unrepresented. 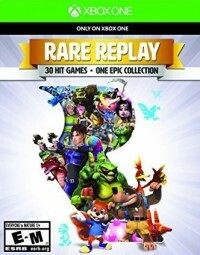 Rare’s name may be somewhat tarnished by all those Kinect Sports titles they had to work on, but this collection is a good reminder of what they’re capable of. If the early glimpses of Sea of Thieves is any indication, the Rare spark has not yet gone out, and I can only hope that Rare Replay helps rekindle that fire. A copy of the game was purchased by the reviewer. More than 10 hours was spent playing the various games.